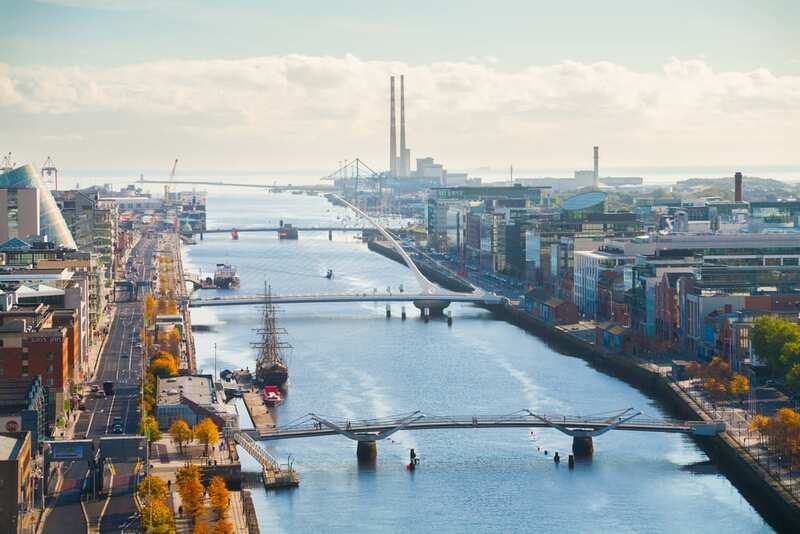 Dublin is a city that has plenty to offer for every taste. From going to the countryside to the beachside or staying in town, I’m sure you won’t get bored and you’ll find out soon enough about all the great attributes of the city. Dalkey is a place that you’d absolutely have to visit when you’re in town for a little longer than two days. Taking the local Dart, you’ll be there in about 35 minutes and I’m sure you’ll love it. Dalkey is known as an expensive neighbourhood that everyone loves but not a lot of people would be able to afford living there. However, the village has many nice terraces, pubs, restaurants and shops and you can easily spend a day exploring the area. Dalkey Castle is a real gem for all cultural buffs, telling the story about Dublin’s marine and all the goods that once have been stored in the castles of that area as they were brought in through the harbour. However, I don’t want to spoil the excitement, so you’ll have to go and find out yourself. If you’re traveling with kids, you should absolutely take one of the ferries and head over to Dalkey Island to spot some seals and wild rabbits. The Wicklow mountains belong to county Wicklow but many Dubliners would go there each year to catch some fresh air and hike in the mountains. Choose between various trails and enjoy a day out of the busy city. Glendalough is my favourite when it comes to hiking and exploring as it has two large lakes, Upper and Lower, which are very beautiful, a small waterfall and a gorgeous old mining town. Bring your comfy shoes as it can go high up the mountain and enjoy stunning views over the lakes as soon as you get on top. Several hotels & bars have found their way up there too which makes it easy for you to enjoy a cold pint after. Dublin itself, has plenty of fun things to do and I’d like to mention some of my favourites: the Little Museum is a real gem and has been voted one of the best museums a few times in a row. Explore the story of Dublin’s 20th century in only 29 minutes. Just a little tip: if you take a ride with the Hop on Hop off, the entrance is for free. Phoenix Park is another must-see when here in Dublin as it’s the biggest city park in Europe, with twice the size of Central Park in New York. Spot some wild deer & have a sneak peek at the President’s House. To Stay in Dublin visit O’Callaghan Stephen’s Green hotel .